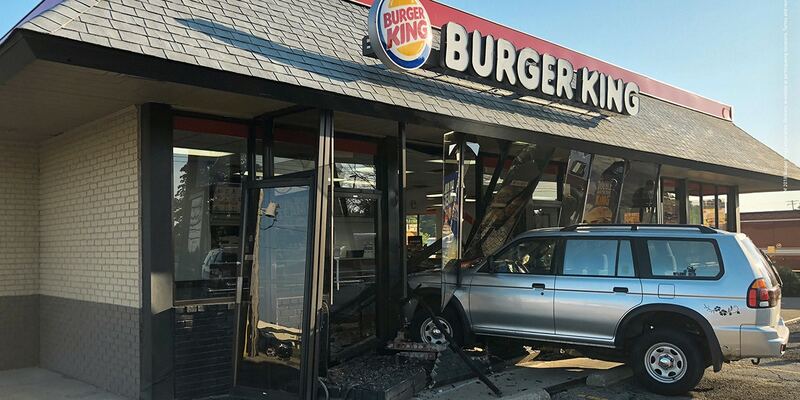 A photo of a car crash at an Illinois Burger King becomes an ad for Whopper delivery. 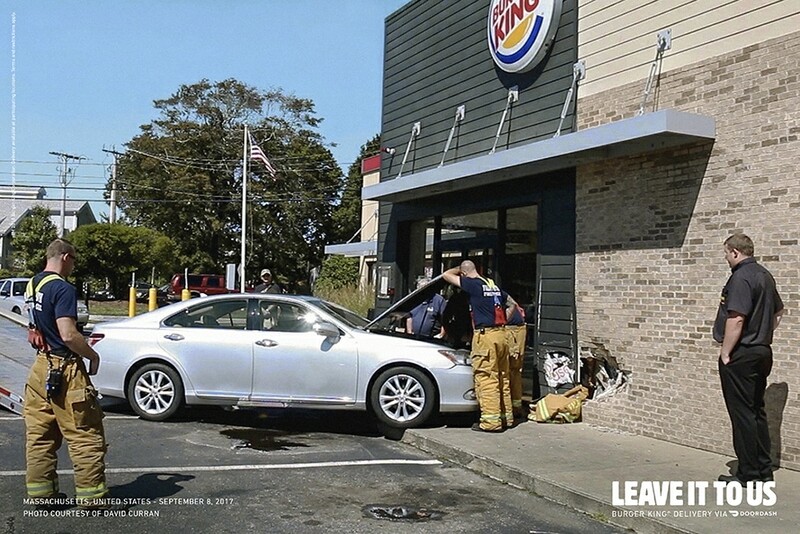 Burger King raised quite a few eyebrows last year with its Burning Stores print ad campaign, which featured real fires at the chain’s locations alongside a simple message: “Flame grilled since 1954.” It was a counterintuitive way to approach advertising, but the work by agency David Miami was also a hit, winning the 2017 Print Grand Prix at the Cannes Lions. Now the brand is back with ads in a similar vein, though this time with a new kind of accident: car crashes. 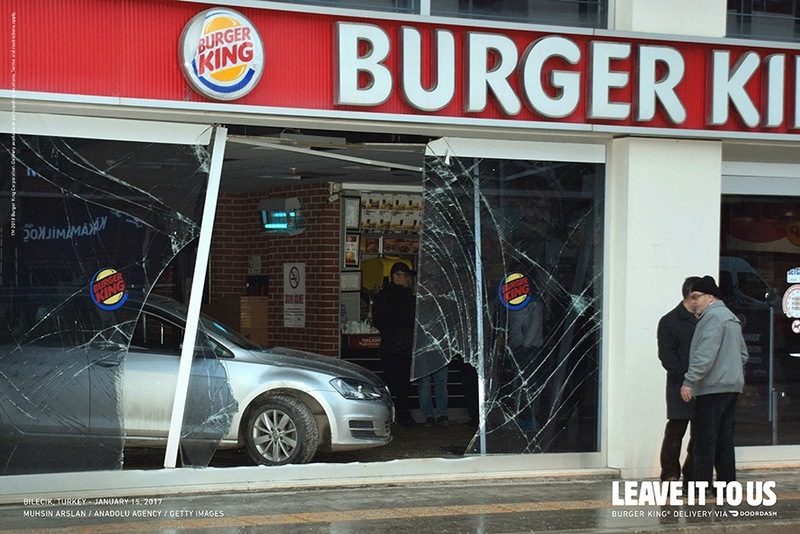 Specifically, the ads feature cars that crashed while trying to drop by Burger King locations around the world. 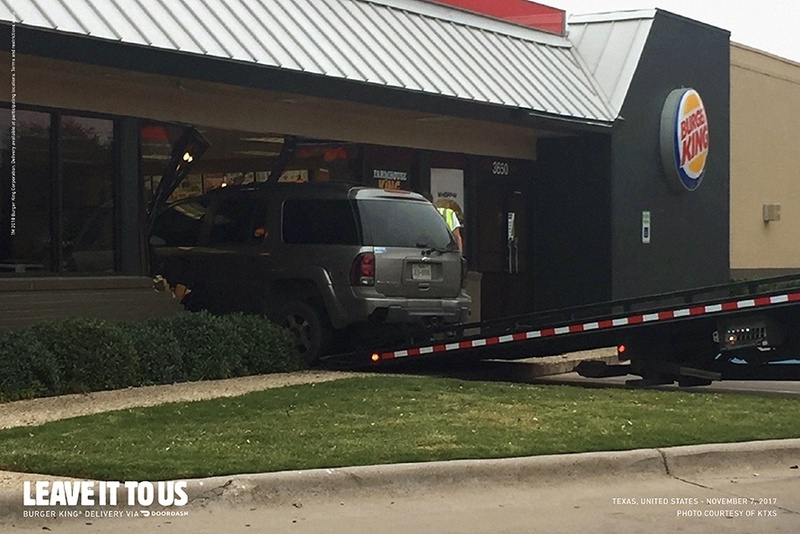 The headline: “Leave it to us.” The message: Burger King’s menu is available for delivery via the third-party app DoorDash. 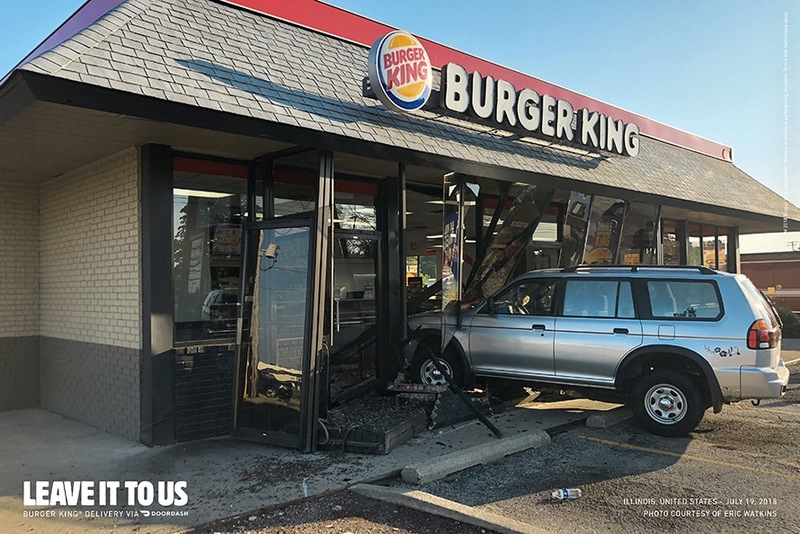 Burger King has released five ads in the Crashes campaign, this time created by agency LOLA MullenLowe in Spain, which also created the brand’s successful Scary Clown Night promotion last Halloween. 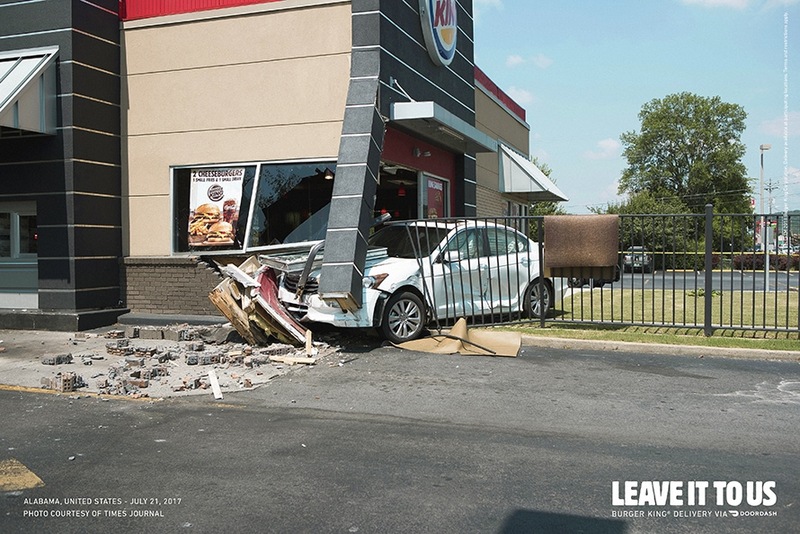 The brand also assures us that no one was seriously injured in the crashes featured in the ads below.